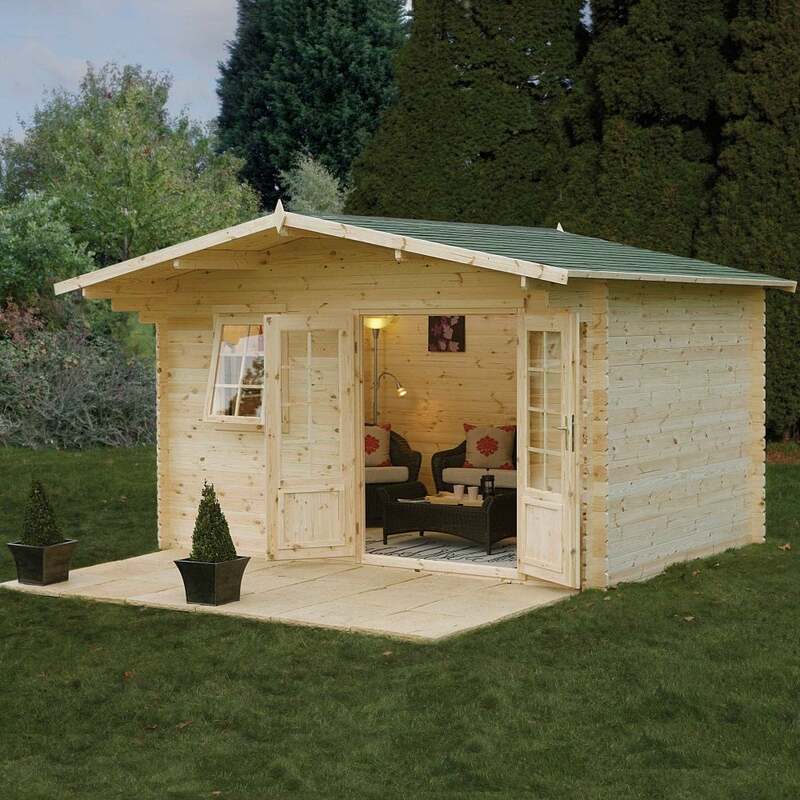 Forest Garden Buxton Log Cabin 4.0m x 3.0m: The Buxton Log Cabin by Forest Garden comes in a traditional design with a wonderful overhanging chalet style roof, perfect for an entertaining space or garden office. The 4.0m x 3.0m Log Cabin is manufactured from 34mm machined log for a robust build and 19mm tongue and groove roof and floor boards to give additional stability and strength to the cabin. The Forest Garden Log Cabin features high quality double glazed doors and window, the window opens to allow airflow into the building and the double doors can provide plenty of natural light when relaxing in the summer months. The Buxton Log Cabin is finished with a stylish shingle roof for optimum weather resistance and comes in a green fleck colour for a traditional design.